On the streets of São Paulo, Brazil, a new form of graffiti was born. 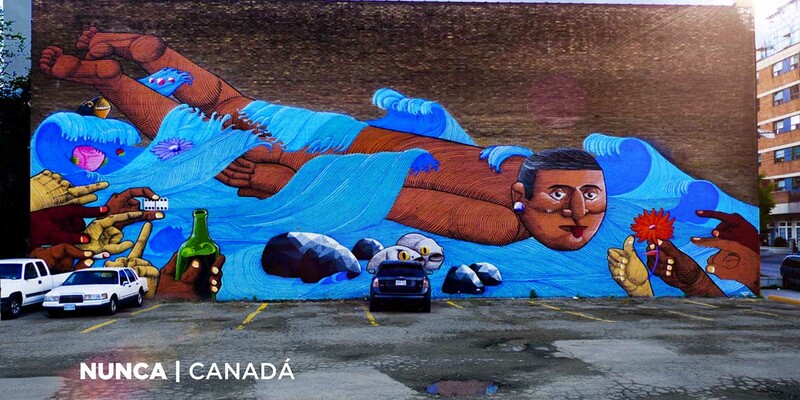 Like wildfire, the works of artists such as Os Gêmeos, Nunca, and Nina spread through the streets of the city and then to art galleries and museums around the world. Nevertheless, City Hall implemented the Clean City Law in an effort to “combat visual pollution,” hiring a small team to paint over graffiti deemed aesthetically unpleasing. When a large-scale mural was painted over, the artists unleashed a graffiti war against the local government, giving birth to one of the most creative resistance movements in Latin American art. Together, the artists worked to recreate lost artwork in an act that embodied the tensions within the city over who decides which pieces are art and which pieces get painted over. 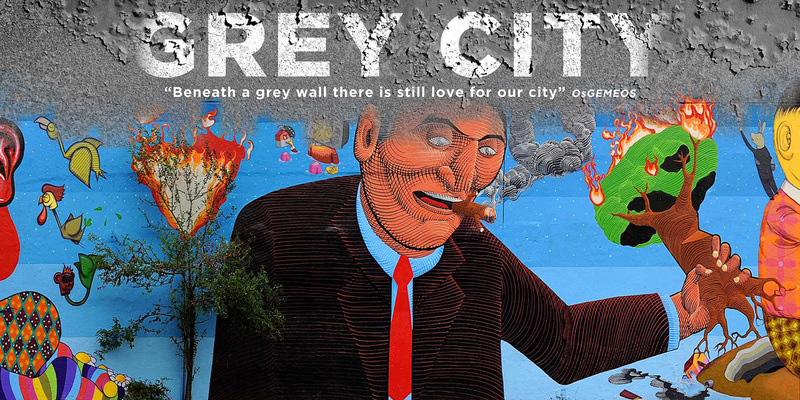 Grey City is not only a documentary about graffiti artists and their work but also a film about the city and streets of São Paulo, which are simultaneously a battlefield and a confluence point—with graffiti serving as the voice of the populace. Guilherme Valiengo graduated in Advertising in 2005. He began his career on the movies as an Art Assistant but soon moved to the production crew. Today Valiengo is a Production Manager at companies such as Margarida Flores e Filmes, BossaNovaFilms, Prodigo, Big Bonsai and Sala12 Filmes e Motion. In addition to working in the cinema industry, Guilherme is a graffiti artist known as “Eita.” Grey City is his first film as a director. Marcelo Mesquita graduated in Advertising in 2005. He began his career as an editor, and soon after started directing commercials and institutional films. Member of Sala12 Filmes since 2007, Marcelo directed the feature documentary film Grey City, in addition to several short films, commercials and music videos. 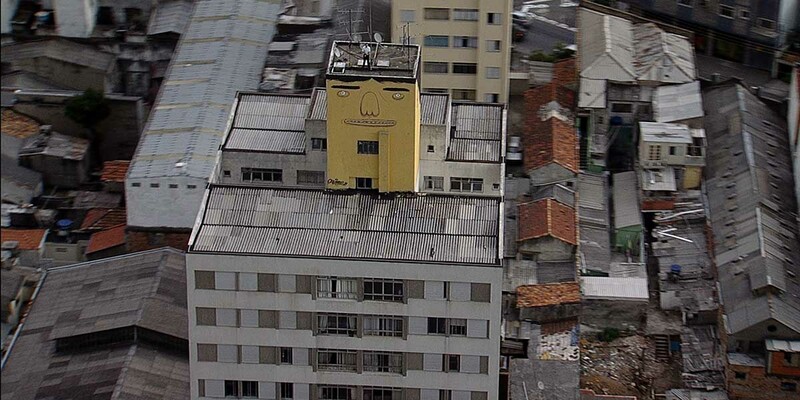 This documentary was meant to register the story of one of the main street art crews in São Paulo, formed by the graffiti artists OsGemeos, Nunca, Nina, Ise, Finok, and Zefix, among others. 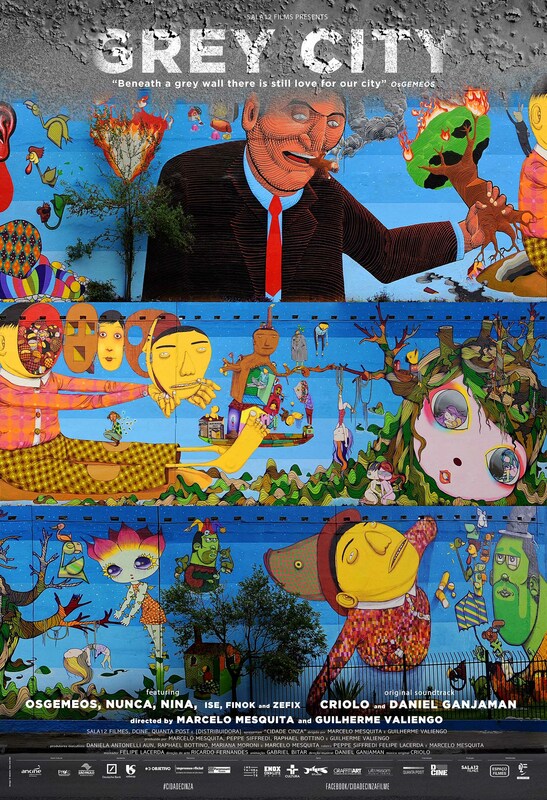 But during the filming process, while observing the city through the graffiti optics, the film crew found a much more important character to the life of any street artist, famous or not: São Paulo. Arbitrary acts are quite common around here, and this modus operandi ruled by chance and by the “Brazilian way,” by the colonial mentality, resulting in a culture of established improvisation that became the brand of our public and cultural policies and, ultimately, mark the biography of our people. This film is not a portrait of the whole São Paulo graffiti scene; it is not a historical review; it is not about the loss of the graffiti outlaw essence when confined in the white cube of the galleries and museums throughout the world. This documentary portrays one of the main fronts of São Paulo: The streets – at the same time a battlefield and confluence point where the cultural myopia, the social deprivation and the complete lack of urban planning honk louder. Among the chaos and the local disbelief, graffiti is the deaf and cemented voice of this brutal city, an accidental bridge between the inhabitants of this aesthetic-urban abortion, one of the few current movements that allow the youngsters to express themselves. In July 2008, in one of the biggest and most populous metropolis in the world, a wall with non-indifferent dimensions – 700 square meters – located at 23 de Maio Avenue, was found completed painted in grey one morning. The media reverberated strongly. The City Hall dodged and claimed the wall was erased by mistake. OsGemeos, Nunca, and Nina gathered and stated a new painting, now joined by ISE and the youngsters Finok and Zefix. The film crew and the graffiti crew mingled, and extent footage resulted in a process of more than 150h of spray. The interviews were obtained at the same place, between 8 avenue lanes, where the deafening noise from the traffic and chaos of São Paulo fed the film and assured us that the issue should transcend the graffiti scene codes. The relationship between the graffiti artist and the city was almost symbiotic, revealing itself spontaneously and combatively, at the climax of the debate. The authors of the betterment: one of the many public property’s restoration and preservation units hired by the City Hall of São Paulo. An outsourced service that consists in covering the damaged areas of the city with grey paint made out of chalk. Well, the problem is the fact that under that brand new grey paint is one of the main graffiti walls from one of the main crews in the world; and at the same time, Nunca and OsGemeos were in London painting Tate Modern’s façade, side by side with the finest street artists on the planet, participating in an exhibition that was a worldwide milestone due to the recognition of the graffiti phenomenon by a traditional art institution. The hip hop culture, a movement born during the 80’s-90’s in the streets of New York and then mixed with the art world by Basquiat, Haring, and Warhol, flourishing in the 21st Century as a new form of expression by artists like Banksy, Blu, JR and the Brazilians OsGemeos, Nunca, Speto and Nina (just to name a few of them). The wall being erased is just another example of the disregard and lack of knowledge of its own culture. In the past, skate was once forbidden. Today, the respect for the cyclist barely exists, so does the green areas, and due to the size of the sidewalks one can realize what São Paulo and its rulers plan for their inhabitants. Besides that, the graffiti artists represent and verbalize other pitiful cliché in Brazilian culture: how many artists had to be successful abroad to be acknowledged in Brazil?